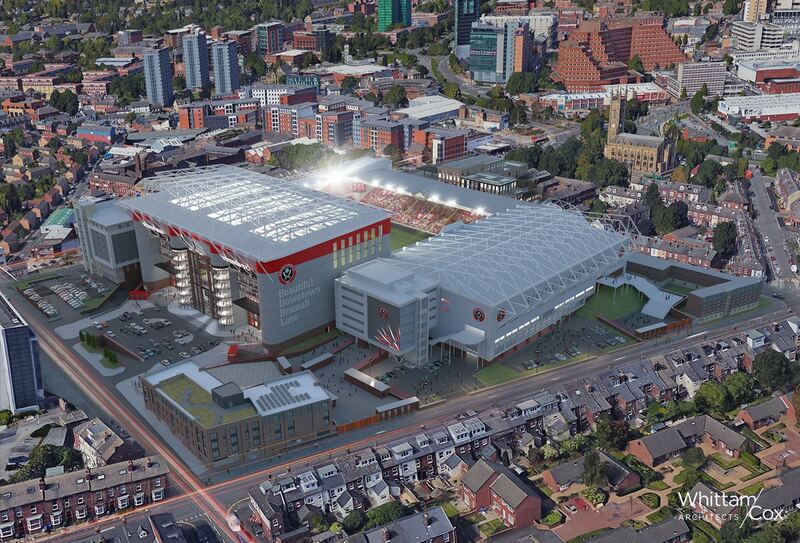 Along the plan by Sheffield United, Bramall Lane is expected to grow from two sides. Primarily, the main south stand will get a second tier, gaining 5,400 new seats and dominating the entire stadium in terms of height. From the outside, the upgraded stand will be defined by four rounded columns hiding staircases, as well as large expanses of natural glazing helping to promote an active frontage and flood daylight into the main entrance and triple height conference space behind. In order to fit the extra floor space, available parking will be reconfigured into a 2-level one (capacity decreased from 310 to 250 cars). 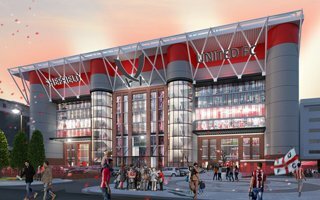 Another part, for which the club had already received planning application back in 2009, is the expansion of east end, the Kop. Further rows on top of the single tier should see further 3,400 seats added. At the same time, this stand would get completely new access/egress routes. Between the two stands, in the south-eastern corner, a brand new pavilion would be built, called by the club the Business Enterprise Centre. 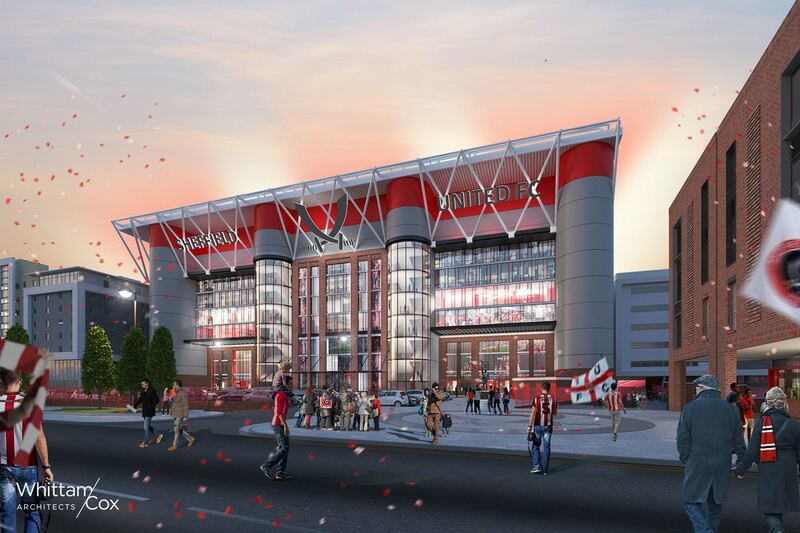 Finally, along stadium expansion the club is also running residential developments beside Bramall Lane, including 45 flats south of the stadium and 52 further in the north-east part of the plot.